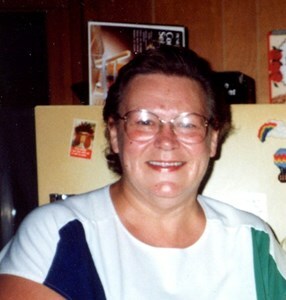 Newcomer Family Obituaries - Phyllis J. Powers 1934 - 2018 - Newcomer Cremations, Funerals & Receptions. Phyllis J. Powers, age 84, of Greenville went home to be with the Lord on Monday, September 10, 2018. Phyllis was born in Dayton on May 5, 1934 to the late Ollie & Kathrine Mock. She was preceded in death by her husband, Marion G. Powers; sister, Barbara Mock; and brother, Robert Mock, all of Dayton. Phyllis is survived by her son, David L. Powers & his fiancé Kathy J. Cook, of Greenville; numerous cousins, nieces, nephews, and extended family of KY, TN, OK and the surrounding Dayton area. The family will receive friends on Tuesday, September 18, 2018 from 11 am to 1 pm at Newcomer South Kettering Chapel, 3940 Kettering Blvd, Kettering, OH 45439. Service to follow at 1 pm. Phyllis will be laid to rest next to her husband at Calvary Cemetery. Add your memories to the guest book of Phyllis Powers.